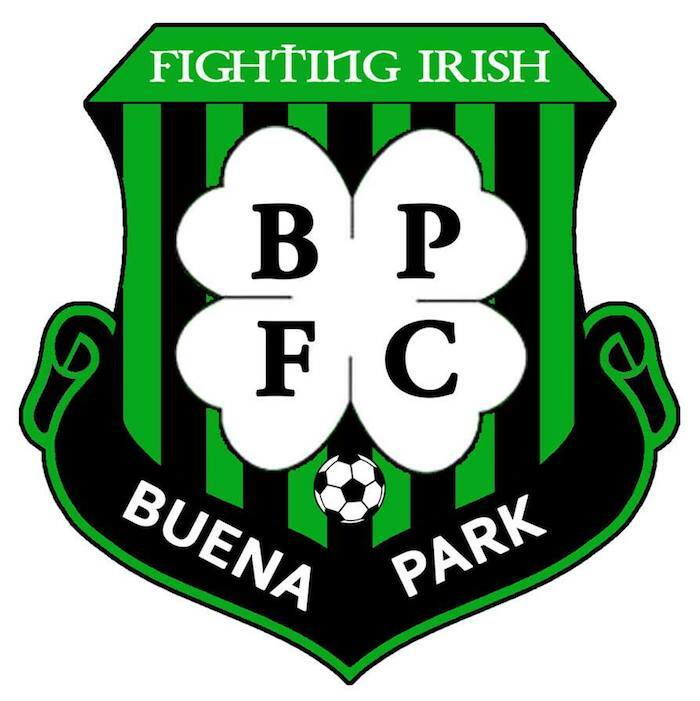 What is your name and role with Buena Park FC? My name is Arturo Gutierrez and I am the founder, manager and coach of BPFC. The beautiful game has been a part of my life since I was able to walk. I played all throughout my younger years up until I had an accident in 2013. Since then I took on coaching and currently run the Kennedy High School Boys' Soccer program, CDA Slammers FC - Cerritos Boys 2001 team, and Buena Park FC. What year was BPFC founded and why are they called the Fighting Irish? BPFC was founded in 2010 as an indoor team between some of us Kennedy alumnus in an attempt to continue playing after our high schools days. We adopted the Fighting Irish as our logo since all of our original members came from the Kennedy Soccer program. What are the biggest challenges facing Buena Park FC? The biggest challenge we have at Buena Park FC is keeping up financially with what a year season demands. We are a homegrown club and with little to no support from sponsors, we all pitch in to keep the club competing in league and major tournaments. What is the main goal of BPFC? Our goal at BPFC is to provide our local talent in Buena Park and its surrounding cities the opportunity to be part of an organized soccer club that competes in high level competitions such as the SoCal Premier League, State Cup and US Open Cup. Who are some up and coming BPFC players that lower league fans should be aware of? We have some great talent within our club. Nate DaRosa is a known name within our league as he imposes a threat up top. Nate is our leading scorer that combines speed, power and finishing, basically everything you want in a striker. Justin Funes, Grant Carlson, Gerardo Sanchez, Marco Saglimbeni and Scott Locken are the core of the squad. Defensively they can withhold any attack as well as add muscle to our attacks. What style of play/ tactics does BPFC favor? Our style of play and tactics always vary depending on our personnel and opponent. We typically work for possession, protect the middle, and use the counter attack with power and speed. Our formation varies, but we favor the 4-5-1 with two defensive mids and occasionally work a standard 4-4-2. BPFC just recently lost in the third round of U.S. Open Cup qualification. What does that competition mean to you, to BPFC and your players? The US Open Cup is big time for us and most amateur clubs in the US. It gives us smaller clubs a chance to showcase ourselves in a national presence and sometimes the opportunity to challenge ourselves versus some pro clubs. Since college ball is over for most of us, this tournament gives that feeling of being part of history and something big again. What role do the various regional leagues/ competitions play in the U.S. Soccer landscape? It's growing. I remember when only soccer players were into the sport. Now I am starting to see another generation invest their time into soccer. There are definitely more eyes following the various clubs, leagues and international competitions. We're more than a futbol club, we're a futbol community.